Manage subscriptions on the fly! 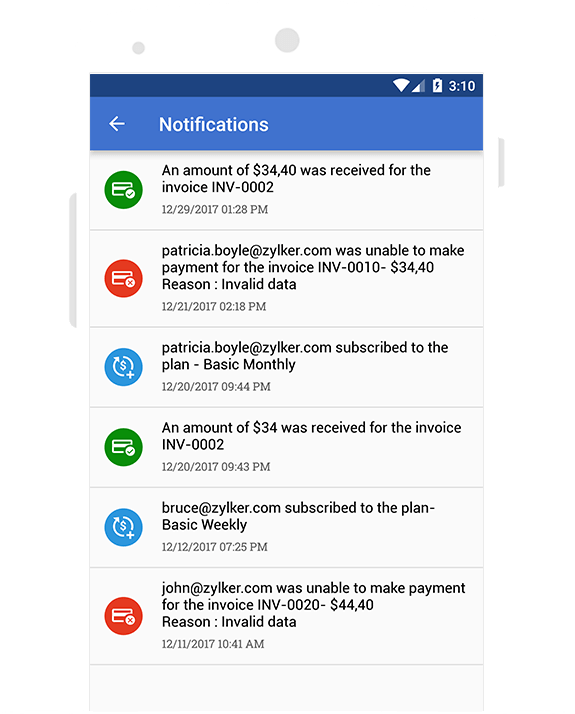 Track your subscriptions and stay updated about key business metrics with timely notifications. 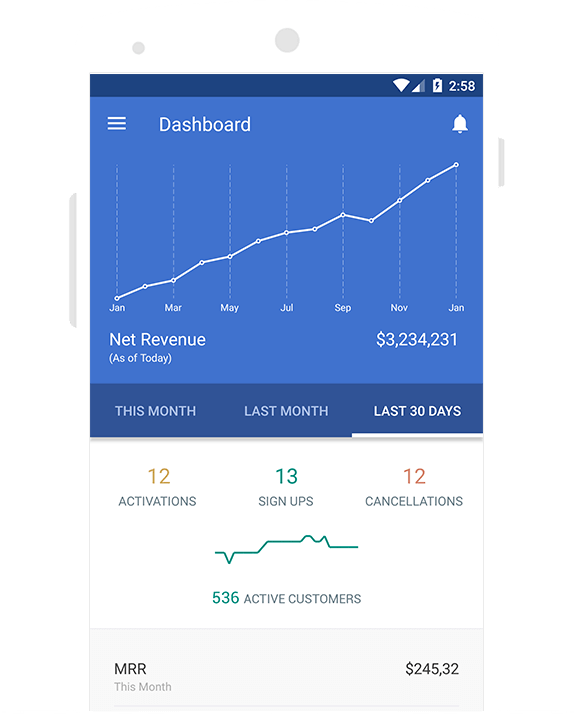 With the comprehensive dashboard, you can view important metrics like Net Revenue, Monthly Recurring Revenue (MRR) and number of activations & cancellations, among others. 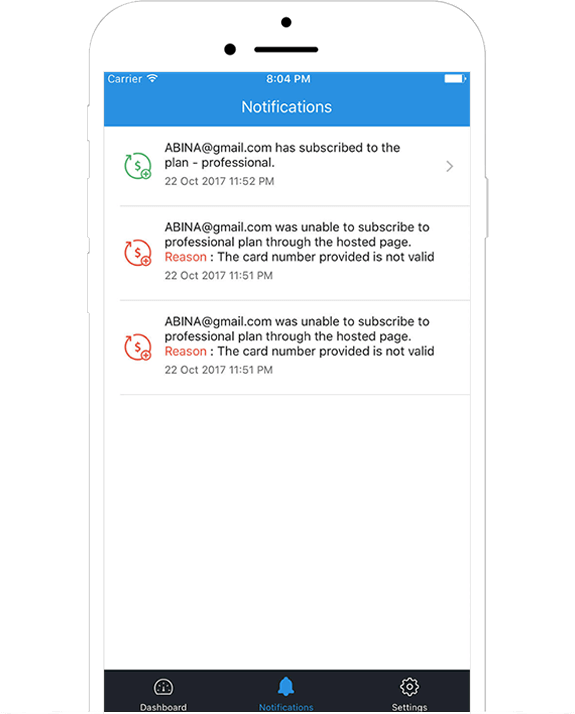 Get timely notifications about customer signup, invoice payment success and failure, and lost opportunities and take informed business decisions. 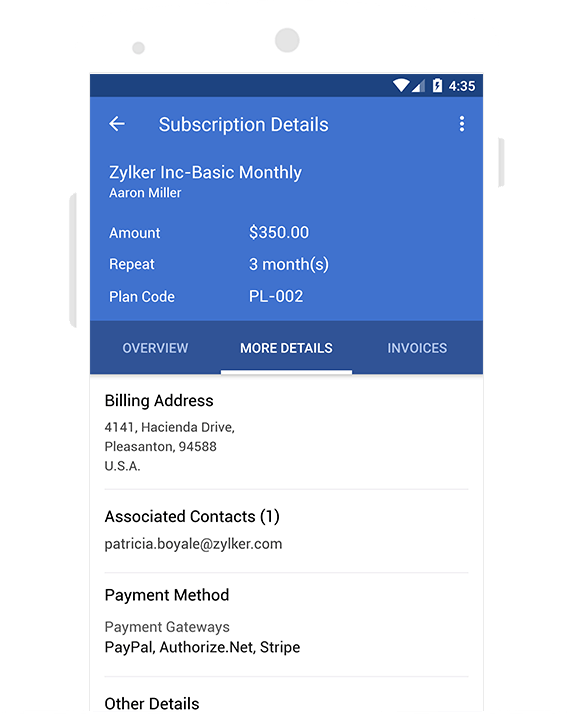 Keep an eye on the status of customer subscriptions, add coupons, update custom fields, and cancel or delete subscriptions. 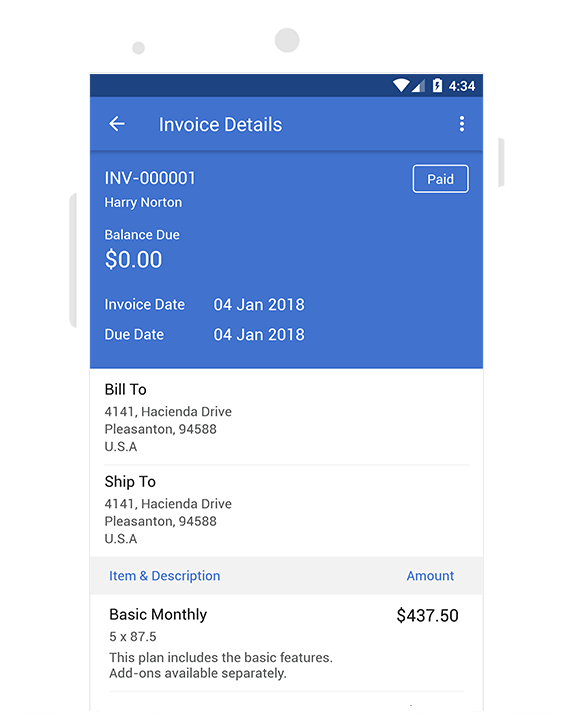 Get important information about an invoice, check the list of payments received, send payment reminders, update shipping and billing addresses and much more. Do I have to pay anything extra for the mobile app? No, the mobile apps come free with your subscription to Zoho Subscriptions. All you have to do is sign in to the app with your existing credentials. Are there any in-app purchases? There are no in-app purchases for the both the Android and iOS applications. What kind of notifications will I get from the app? 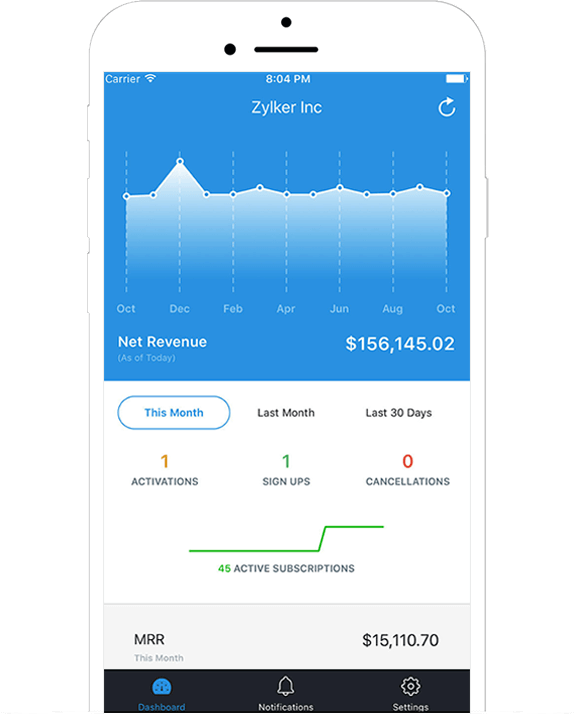 You will be notified about new customer signups, invoice payments, invoice payment failures, and lost opportunities (signup failure).